“Military spokesman Brigadier Prasad Samarasinghe (strictly protect) told us that the idea for the forced removals came from the police, not the Army, which was not in favor of the plan. However, Defense Secretary Gothabaya Rajapaksa gave the orders to proceed with the police plan. On June 6 and 7, the Army helped police round up Tamils from approximately 20 hostels in Colombo.” the US Embassy Colombo informed Washington. Although the Army was not in favor, Defense Secretary Gothabaya Rajapaksa gave the order to proceed. Samarasinghe said the original plan was to suspend the roundups on Friday, June 8, but pursue them with renewed vigor over the weekend. The Colombo Telegraph found the related leaked cable from the WikiLeaks database. The cable is classified as “SECRET” and discuses the removal of non-Colombo based Tamils temporarily residing in Colombo lodges and hostels . The cable was written by the Ambassador Robert O. Blake and classified by A/DCM Robert Gabor. 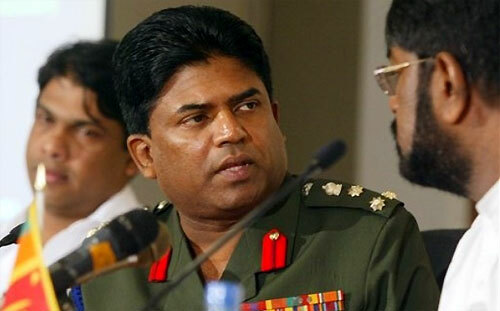 The cable, dated June 8,2007, updated the Secretary of State on the eviction and asked strictly protect Military Spokesman Prasad Samarasinghe as their source. “On June 8 the Sri Lanka Supreme Court stayed the removal of non-Colombo based Tamils temporarily residing in Colombo lodges and hostels (ref A). The Court ruled in favor of a Fundamental Rights Application filed by the NGO Center for Policy Alternatives (CPA). Military spokesman Brigadier Prasad Samarasinghe (strictly protect) told us that the idea for the forced removals came from the police. Although the Army was not in favor, Defense Secretary Gothabaya Rajapaksa gave the order to proceed. Samarasinghe said the original plan was to suspend the roundups on Friday, June 8, but pursue them with renewed vigor over the weekend. It is not clear what impact the Supreme Court’s stay will have on plans to continue the removals on Saturday and Sunday. In the meantime, at least a couple of hundred Tamils are being housed inside a school in Vavuniya without adequate water or sanitation. The Red Cross is helping to care for them. There were unconfirmed reports the GSL planned to move many Tamils across the Forward Defense Line through the Omanthai checkpoint into the Tiger-controlled Vanni. Although the Liberation Tigers of Tamil Eelam (LTTE) stated that the people would be welcomed in the Vanni, they denied that there have been contacts with the GSL on this subject. Numerous members of Parliament, including several moderate members of the governing coalition, have objected to the Government’s actions. Embassy issued a press release calling for an immediate halt to further deportations.” Blake further wrote. Secretary Gothabaya Rajapaksa gave the order to proceed. coalition, have objected to the Government's actions. to further deportations. END SUMMARY. Rajapaksa gave the orders to proceed with the police plan.